Tourist visa process cancelled until further notice, embassy announces. Is it a matter of security, or discrimination? In April, US Secretary of State John Kerry announced an internal review into claims that hundreds of young Israelis were being barred from entering the US for political reasons. 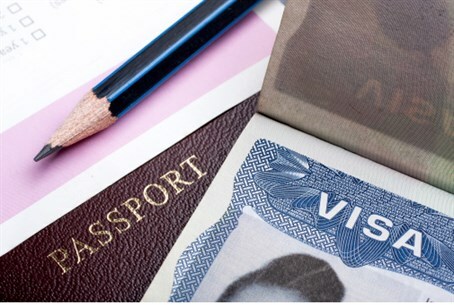 An initial investigation found that the rejection rate of visa applications for young Israelis ages 21-26 had doubled, from 16% in 2009 to 32% in 2014; Ambassador to Israel Dan Shapiro stated that the visa crisis is close to coming to an end several days later. "The department will take immediate steps to increase the number of young Israelis that can travel to the US according to our immigration laws," Shapiro wrote, in a Facebook post. "The law dictates that applicants must prove that they intend to return to Israel in making the request, and that the visa does not allow recipients to stay beyond the designated time period or to work legally in the US," he said. "But we are aware of the fact that although two-thirds of young applicants receive visas, some people harbor a misconception that young Israelis are not welcome in the USA." "Surely that's not true," he continued. "Israel is one of the US's closest allies, and we welcome all networking between Israelis and Americans, including visits to the United States." Israeli officials have yet to respond to the letter, which responds to earlier claims that political motivations were at stake in the visa rejections. Earlier this year, Israeli security officials also claimed they were being targeted by the US, and that hundreds of defense officials were turned away from making important visits to Washington. Major Israeli politicians claimed in May that the US had been "humiliating" them during the visa application process for years, according to a report in Yediot Aharonot, and had been forced to endure long wait times for acceptance and allowed only brief visits to their alleged ally.